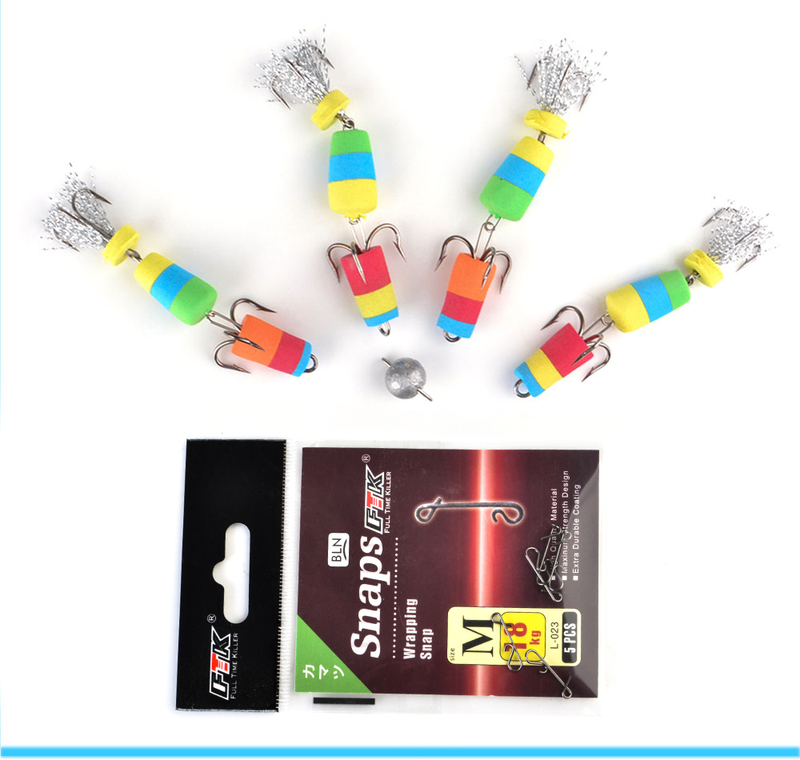 This Jig Swivel Soft Lure is packed in 4 pieces. 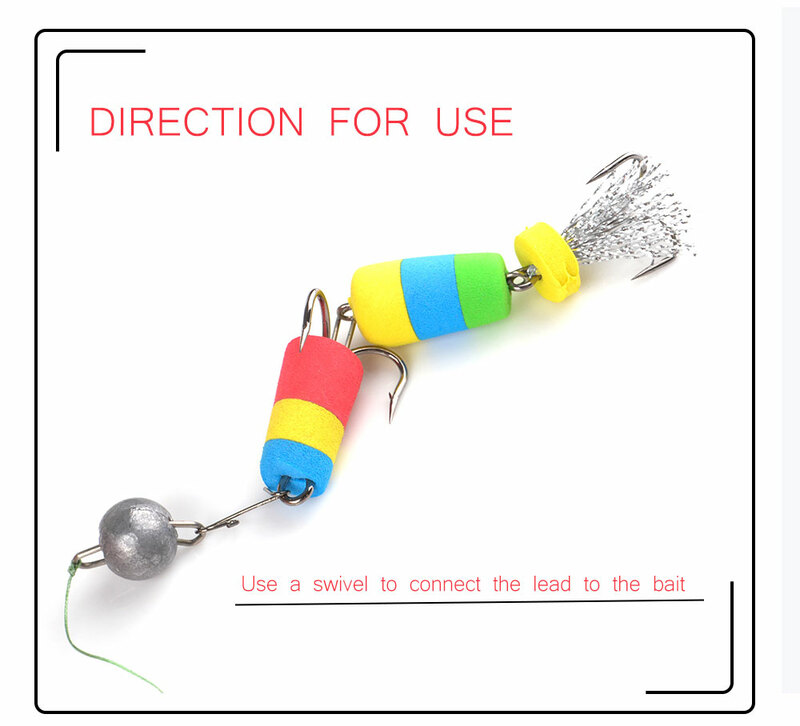 Each bait is of the same size. It comes in random color. A box of bait is presented as a gift package. 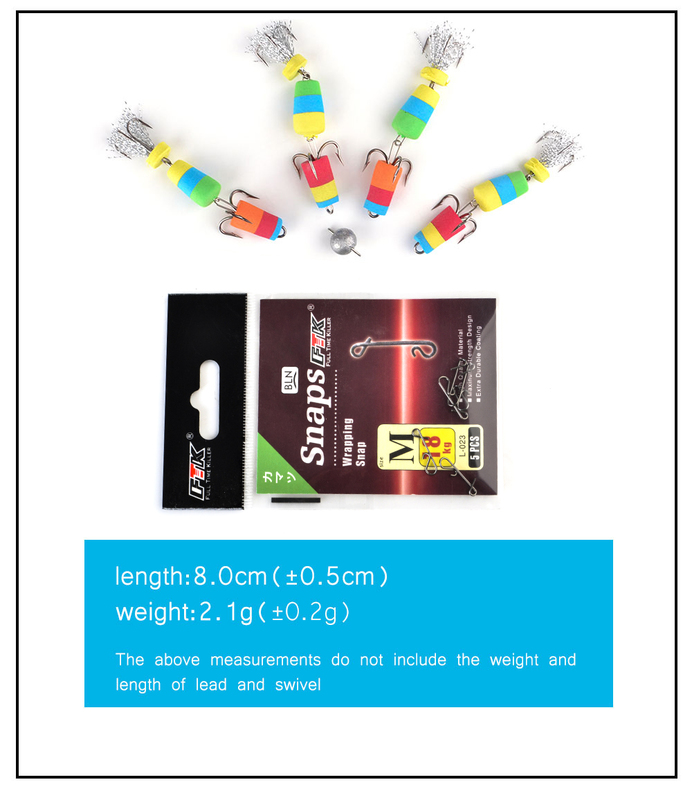 A gift bag contains a lead and a bag swivel. There are five in a pack swivel.